Basketball is all about putting the ball in the hoop. To do that, though, players need to work together with their teammates. 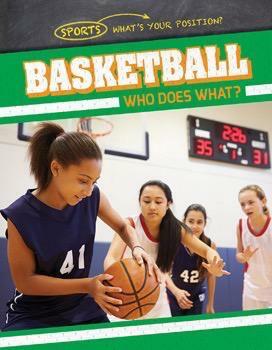 This book puts readers on the hardwood as they parse the different positions that make up a basketball team. From conducting the offense with the point guard to shooting jumpers with the shooting guard, readers get an in-depth study of James Naismith’s famous game as they learn how to play with their friends. Whether setting up alley-oops on offense or blocking shots and causing turnovers on defense, this book gets readers ready to play any position on the court.